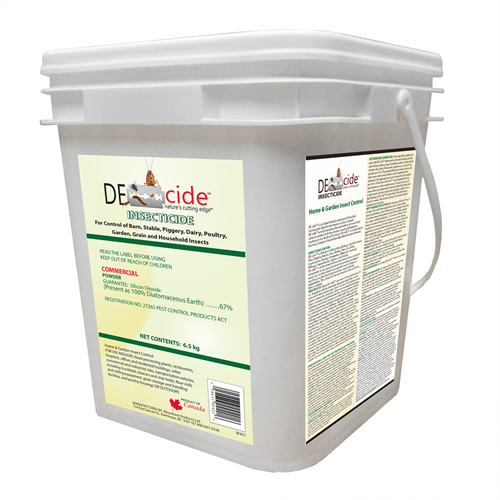 DEcide Insecticide is composed of a unique formula of fossilized microscopic diatoms also known as silicon dioxide. This material comes from a natural deposit found near Kamloops, BC. 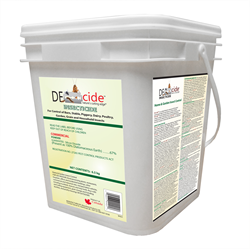 DEcide Insecticide lacerates the exoskeletons of insects, killing them through dehydrating. The product must come in direct contact with the insect in order for it to be effective.